MCB Hawaii Kaneohe Bay is located on the 2,951 acres of the Mokapu Peninsula in Kaneohe Bay. The U.S. military first established a presence on the peninsula in 1918 when the U.S. Army commissioned Fort Kuwa’aohe Military Reservation on 322 acres on the northeast side of Mokapu. In 1941, this reservation became known as Camp Ulupau; a year later it was redesignated as Fort Hase. 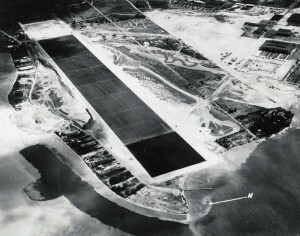 Fort Hase became a major unit in the Windward Coastal Military Command and in 1945 was expanded with the addition of 474 acres. The Army stayed here until August 1940 when the Navy decided to acquire all of Mokapu Peninsula to expand Naval Air Station Kaneohe, a sea plane base it had begun building in September 1939 and would commission on 15 February 1941. Between 1939 and 1943, large sections of Kaneohe Bay were dredged for the dual purposes of deepening the channel for a sea plane runway and extending the western coastline of the peninsula with 280 acres of coral fill. On Sunday morning, 7 December 1941, two waves of Japanese Imperial Navy aircraft bombed and strafed Kaneohe Naval Air Station, several minutes before Pearl Harbor was attacked. Of the 36 PBY Catalina “flying boats” based here, 27 of 33 on the ground or moored in Kaneohe Bay were destroyed. Only three planes, out on patrol at the time of the attack, escaped and they suffered air-to-air combat damage that fateful day. Following repairs, the air station was expanded to include a runway; 14-inch guns from the USS Pennsylvania were brought to Fort Hase to be set atop the edge of Ulupau Crater in the seven-story deep “Battery Pennsylvania” as part of the coastal defense of Windward Oahu. Marines of the 2nd Division came to the Big Island of Hawaii after the Battle of Tarawa, to regroup and train for Saipan and Tinian. The 5th Marine Division arrived at “Camp Tarawa” soon afterwards to train for the Battle of Iwo Jima, while the 4th Marine Division prepared on Maui for the same destination. Some training also took place on Kauai. 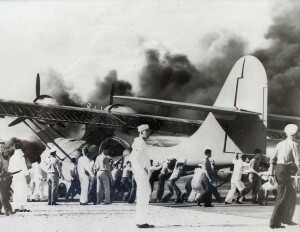 Battle survivors would return to Hawaii after those distant island battles, to regroup for the invasion of the Japanese home islands. After the armistice was signed aboard the USS Missouri in Tokyo Bay on 2 September 1945, thousands of military members of all services began to pass through Pearl Harbor and other military installations in Hawaii, including Kaneohe Naval Air Station, bound for discharge on the U.S. Mainland and return to civilian life. 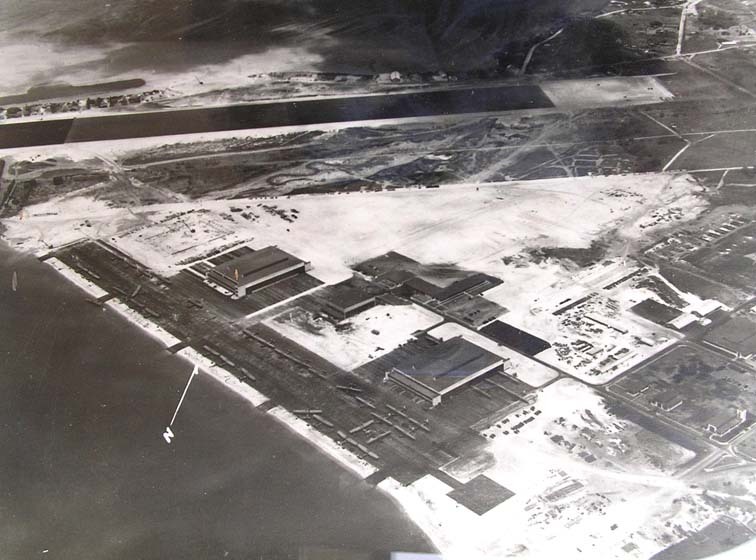 On 1 April 1946, all Kaneohe NAS residents and workers were evacuated as nearly 25-foot waves from the Alaska tsunami washed over the peninsula, nearly covering the runway and the Fort Hase areas before rapidly receding back to the sea. 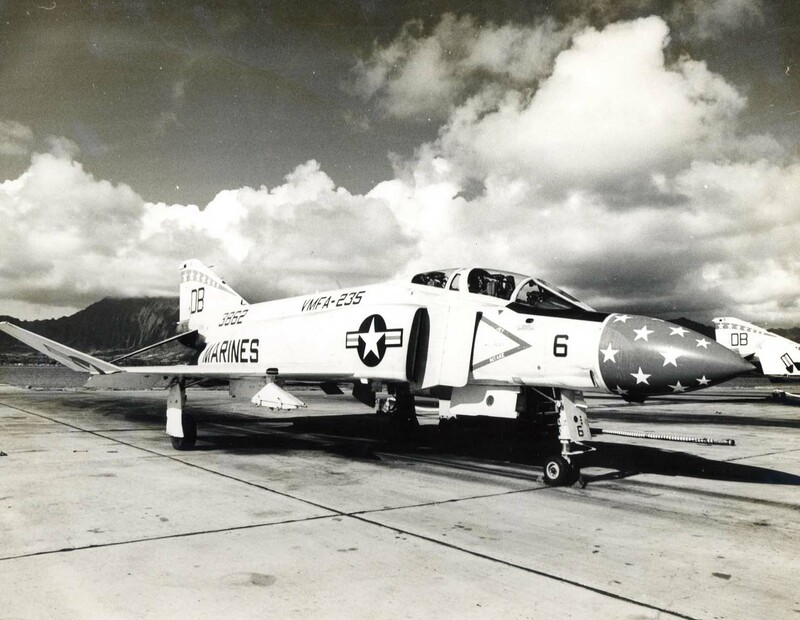 In May of 1949, Kaneohe Bay NAS was decommissioned and placed in a maintenance status. All property (except buildings) was transferred to NAS Barbers Point. The Navy put Mokapu Peninsula land up for lease, but no interested parties came forward. By June 1950, only a small security detail remained. The following year in 1951, the Marine Corps decided that Mokapu Peninsula would make an excellent home for a combined air-ground team, consolidated all landholdings and, in January 1952, commissioned Marine Corps Air Station Kaneohe Bay. In April 1994, the Marine Corps consolidated all of its installations in Hawaii, under a single command — Marine Corps Base Hawaii (MCBH).